I am seriously like a kid in candy store at the fabric wholesaler. One fabric supplier that I have been a fan of for some time now is Sparkk. 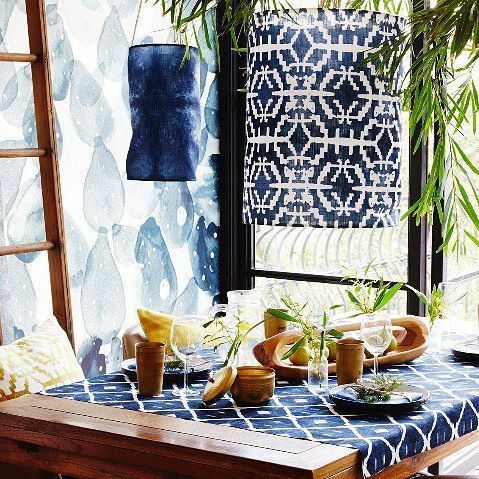 Based in Sydney, they produce a really amazing range of printed textiles with bold patterns in a huge range of colours. Being a visual person bold patterns and bright colours are a big attraction to me. A few years back we bought a Bongo ottoman from King Furniture and the fabric of choice was ‘Peggy’. It’s such a happy, summery fabric. Aside from their own designs they also collaborate with many other designers like Shibori, Tim Neve and even the Victoria and Albert Museum from my home city. A few days ago I receive the email newsletter advising of their new Spring/Summer catalogue has gone all digital. Yay!!! Interested in what’s on offer, then click the link below. Now I will be honest this post took me a fair amount of time to put together. Now I know what you are thinking…. Why it’s hardly War and Peace in length? Well I kinda got sidetracked looking at all the fabrics dreaming up places I could them.